Last year, after my initial enthusiasm for Civilization VI began petering out (until the announcement of the expansion), I went on a bit of a space-4x bender. I spent some time with the rebooted Master of Orion. It was good, but I was underwhelmed by its limited scale and casual depth. I also planned on hitting up Endless Space 2. I played the first Endless Space briefly off-and-on, and I liked it, but kept getting diverted to other games and projects and never really allowed myself the time to get comfortable with the game. But first, before diving into Engless Space 2, I wanted to tackle a game that's been in my library for over a year: Stellaris. This is an epic, space 4x strategy game developed by Paradox Interactive -- the same developer who brought us the infamously complex and detailed Europa Universalis and Crusader Kings series. 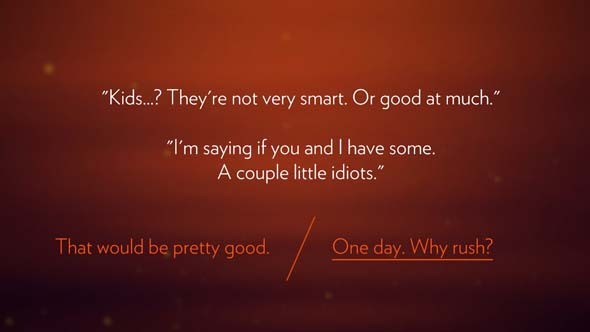 I was hesitant to try Stellaris because of its relationship to Europa Universalis (and its notorious complexity), but I was surprised to find that Stellaris has a bit of a gentler learning curve. Instead of starting you out "in median res" with a developed European kingdom with armies already mobilized, alliances and rivalries already in place, and wars already in progress, Stellaris starts you out in control of a single planet in a single star system, with just a small fleet of corvettes, a construction ship, and a science ship at your disposal. You send your science ship to explore the other planets in your system, then on to the nearest star, and slowly explore from there at a much more comfortable pace that is akin to a game like Civilization or Master of Orion. 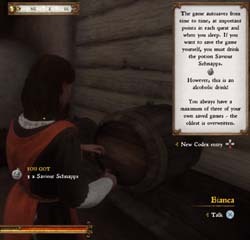 Unlike with Crusader Kings and Europa Universalis, I didn't feel like I needed to sit down with a history textbook in order to know what was going on at the start of my game. You start the game with a single science ship to explore your own star system, and work your way out from there. Don't let this initial apparent simplicity fool you. Stellaris is still quite deep, quite complex, and the galaxy that you'll explore really does feel vast. 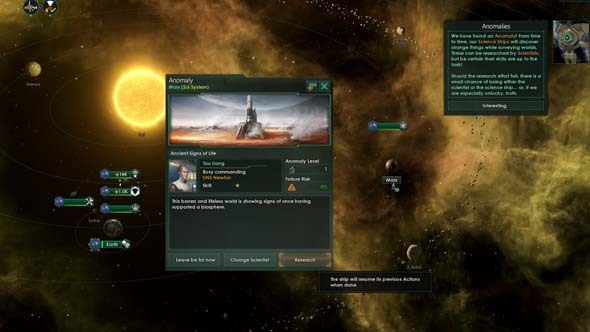 While the Master of Orion reboot has galaxies with a mere dozens of stars (very few of which contain more than one or two planets), Stellaris features a default galaxy size consisting of hundreds of stars, most with their own planets, which might (in turn) contain moons. There's still going to be some trial and error, as you'll make a lot of mistakes and miss a lot of opportunities in your first few games. If you left the "ironman" mode disabled, then you'll at least be free to re-load earlier saves and try to play better if anything goes horribly wrong. However, Paradox throws a bit of a curve ball at players by disabling achievements if you disable ironman mode. You won't stumble into achievements in your learning game(s) or by save-scumming; you'll have to earn them in the Ironman mode! You also won't be able to manually save while in Ironman mode. You have to wait for the game to perform an auto-save (which I think happens every few in-game months, or maybe every year?). This can be very annoying if you don't notice the "saving game" popup and don't know if the game has saved your most recent actions. It's fine to include a single save file for this mode, but they could at least include a "Save and Exit" option in the pause menu! 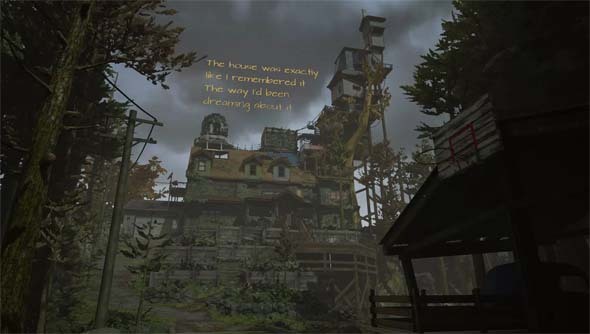 Is it the curse, or the idea of a curse, that kills the family of Edith Finch? The Finch family is, as we are told, cursed. It's not a spoiler to say that every member of the family dies a tragic, premature death. 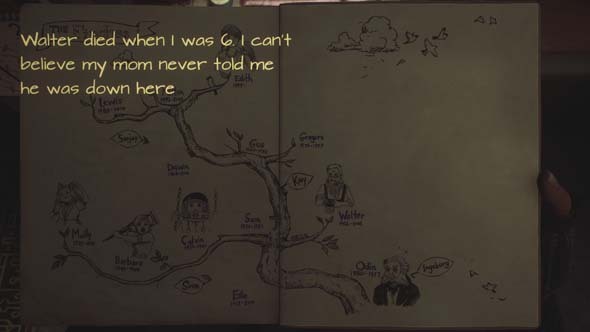 The family tree in the sketchbook tells you as much at the start of the game. 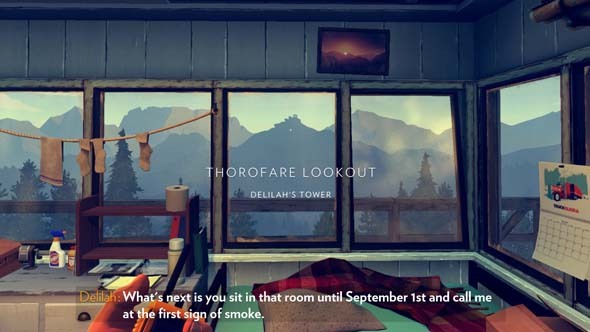 We play, ostensibly, as 17-year-old Edith Finch, the last surviving member of the Finch family, but also an expecting mother. Her son will carry on the name and legacy of the family. She returns to her childhood home to learn the stories of all her cursed relatives, as she debates internally with whether to share these stories with her son, or to let the past (and its myriad tragedies) fade away and die. The Finch family is cursed by tragedy. The house itself, is a whimsical generational home in which each member of the family is given his or her own unique room. As more members of the family are born, new rooms are added onto the house, including a towering structure on the top that makes the house look almost like a castle. After losing both of her sons, Edith's mother began sealing off everyone's rooms so that Edith (and any future children) would not become aware of how the others died. But, each room has alternate ways in and out, including some secret doorways and tunnels. Despite the whimsical, fantastical nature of the house, everything feels surprisingly real and lived-in. The house is cluttered with the paraphernalia of the family (since they were apparently also hoarders), and each room has a very distinct personality. Even the shared spaces that do not belong to any one individual still exhibit a sense of personality to them. This is a family that takes great pride in their history and the connectedness that they have towards one another. The Finch home is a whimsical, generational house. I debated whether to turn this into a retro review of Shadow of the Colossus, or to focus this review on whether or not this particular remake manages to re-capture the magic of the original. Honestly though, what could I possibly say about Shadow of the Colossus that hasn't already said? I might as well try to write a retro review of Citizen Kane or Hamlet! Shadow of the Colossus was like a digital vacation when it was released in 2005. 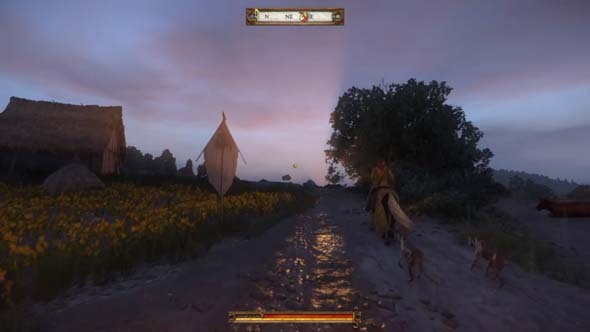 It's as perfect a video game as has ever been made. It's the centerpiece of any "games as art" argument (if we still even have to have that argument anymore). Critics and analysts before me have already consecrated Shadow of the Colossus far beyond my petty powers to add or detract. the Silent Hill HD Collection?! Because of how absolutely brilliant the original game is, I had reservations about any attempt to remaster or remake it, especially after the debacle that was Hijinx Studios' Silent Hill HD Collection. Fortunately, however, the remake privilege (or burden, depending on how you want to look at it) was given to Bluepoint Games, the veritable masters of remasters and HD collections. 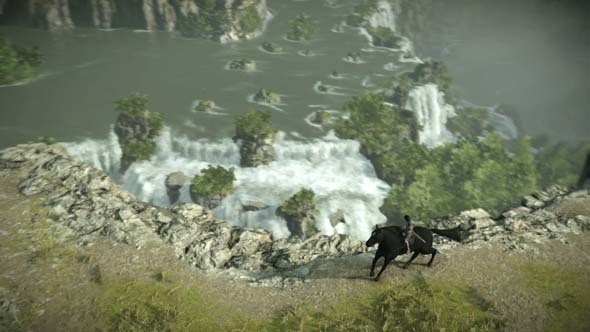 Bluepoint had already released an HD remaster of Shadow of the Colossus on the PS3 back in 2011. I never played it because I thought the PS2 version of the game still looked fantastic and didn't need to be remastered to be enjoyed. That HD remaster was very well-received by the general public, as have been all of Bluepoint's remasters, as far as I am aware. Why couldn't Konami have given Silent Hill to these folks? !